It is recommended that children aged 2 to 3 years have a small design on the cheek, hand or arm only. Children/adults with a cold sore, eczema, open cut, conjunctivitis and other nfectious conditions should not be painted. 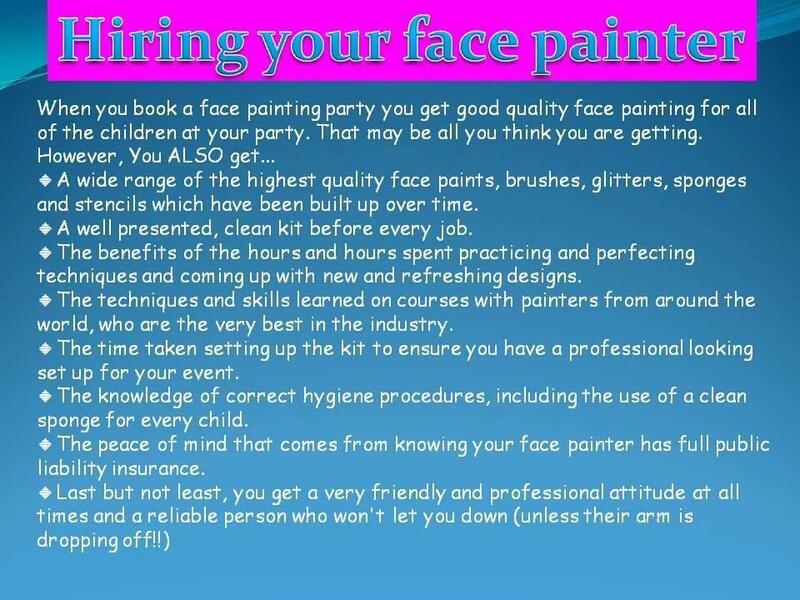 If you are face painting whether voluntarily or for payment it is ecommended that you hold Public Liability Insurance. Do not assume you will be covered by the Public Liability Insurance of the client for whom you are working.